With summer officially here, the weather is heating up across North America. But there's a type of radiant heat that's "heating" up in Canada this season as well. Heated driveways are experiencing growth in Canada, according to the latest data from WarmlyYours Radiant Heating. In April, snow-melting system sales increased a substantial 63.8 percent in Canada compared with the prior-year timeframe. And it's no wonder why! When it comes to winter snowfall, Canadian residents have to contend with anywhere from 21.7 inches (55.2 cm) to 111 inches (282 cm) annually. So, it's not surprising that many homeowners dread the prospect of removing ice and snow from their driveways and walkways to make it safe for family and guests. Plus, countless stories of heart attacks and muscle injuries brought on by shoveling heavy, wet snow don't make it any more appealing. 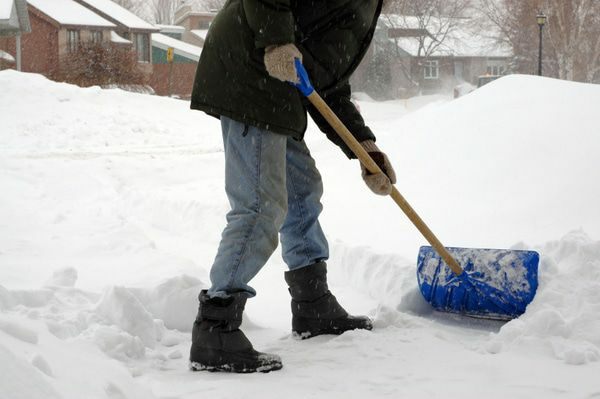 One popular alternative to shoveling has been using a snow blower. However, the initial cost of the machine, storage space, and need to brave the cold while snow blowing can make this method more trouble than it's worth. To avoid these issues, you could hire a snowplow contractor, but they often charge a high price for even small driveways. And, most do not shovel walkways, so the homeowner still needs to clear those. As a result, many homeowners will instead resort to their traditional snow shovels. 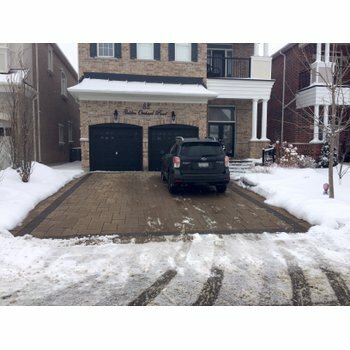 But there's another solution that is rapidly growing in acceptance among Canadians — heat that's installed underneath the driveway, melting the snow and ice on the surface. Currently, there are two distinct systems on the market that have proven to be very effective: one is hydronic and the other is electric. Hydronic systems employ water or another liquid like glycol that is heated in a boiler and circulated through a network of piping to heat the driveway surface and melt any accumulated snow or ice. These systems are very durable and work well for large areas; however, they can be costly, as Adam Wishinski of Ontario-based Grand Building & Contracting Ltd. points out in the company's blog. "The boiler alone can cost over $10,000, making it very expensive as this does not even cover the piping, walkway/driveway base labour/material, and walkway/driveway finishing labour/material," he explains. Electric radiant heating systems are the more contemporary and preferred choice for exterior heating, as they use electrical cables and mats to transfer heat to the surface and do not require an expensive investment in a boiler and piping, Wishinski notes. 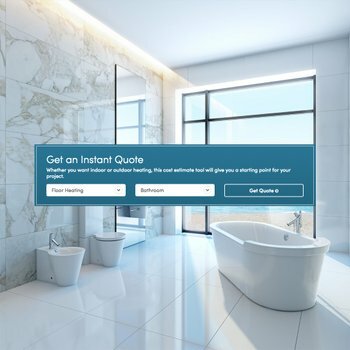 Their growing popularity can be traced to the low initial cost that is in line with most standard home improvement projects. If you are renovating your driveway or walkways, radiant heating is an affordable way to solve your winter woes. Plus, depending on your home's current electrical setup and the total load amount of the appliances used at any one consecutive time, you may not need to upgrade your electrical panel or install another one in order to accommodate a snow-melting system, Wishinski writes. In many instances, the panel capacity is utilized by the A/C in the summer and by the snow-melt system in the winter. However, this is just one of many reasons why a licensed electrician is strongly recommended for pre-installation assessment and installation. Snow-melting systems are available in 120 and 240 voltages and two formats: mat or cable. 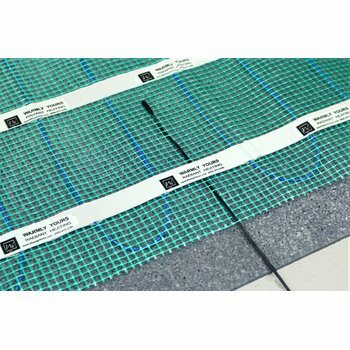 The mats generate approximately 50 watts per square foot, and offer quick and easy installation, while the cable generates 12 watts per linear foot, providing maximum flexibility. Building on their affordability, snow-melting systems won't even impact your electrical bill substantially, Wishinski notes. "The fact is, the system will be most commonly used over a four-month period from December to March," he writes. "The system uses smart sensors to detect moisture and will only arm at certain thresholds…" Therefore, you might add about $40 to your electrical bill if you have a 300-square-foot driveway and you get 10 snow days in January, he says. For the entire winter, you might see an increase of about $160, which is pretty reasonable if you compare it against the price of a snow blower or snow-plowing contractor, he adds. In addition to the safety benefits that homeowners gain from not having to shovel their driveways, radiant heating systems can also protect pets and homes from harm. 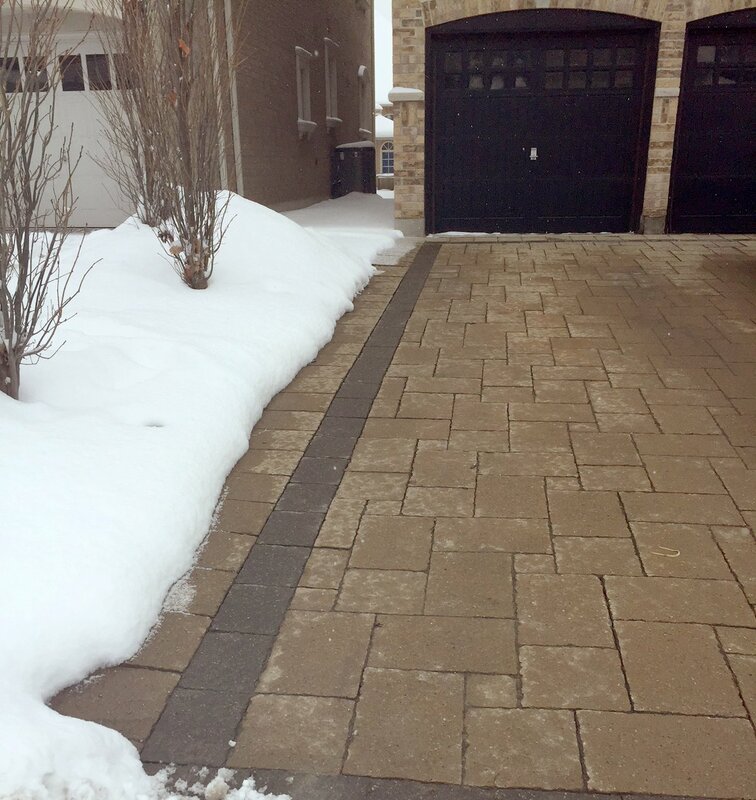 Snow-melting systems reduce the wear and tear on driveways and walkways by eliminating the need for toxic chemicals that are corrosive and hazardous to pets. Another outdoor radiant heating solution is a roof and gutter deicing system, which was designed to prevent ice dams from forming. These ice dams cause large icicles, which can be dangerous when they melt and fall. 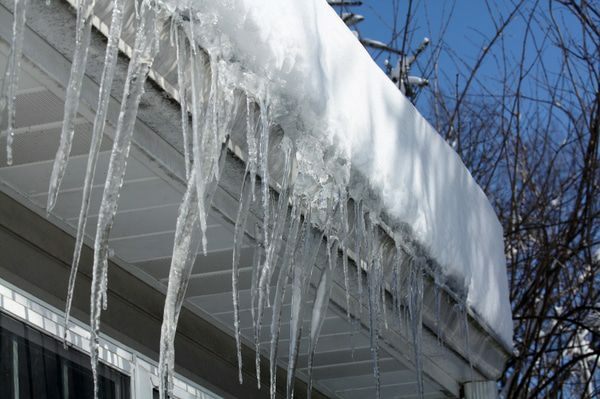 Most importantly, ice dams can cause water to leak into your home, damaging your property. In the Canadian market, these benefits make it clear why radiant heating solutions are growing. "As Canadians, this simple science of radiant heating will become more prevalent in our homes as time goes by because of the simple fact that it really works," Wishinski writes. "As pricing normalizes and the reliability of the products improves, more and more homeowners are going to jump on board." For more information about outdoor radiant heating solutions, visit www.warmlyyours.com.